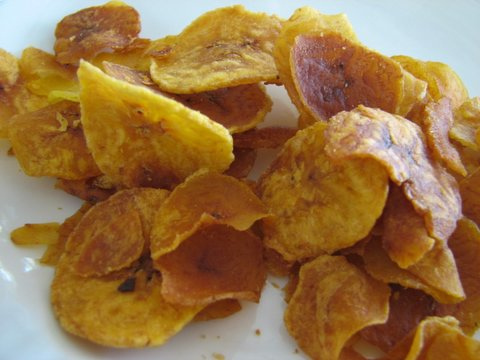 Slice the plantains as if making potato chips. You may use a food processor. Fry until crisp and season with garlic salt while still moist and hot.